I am a big fan of going green and incorporating paperless activities in a classroom especially on Earth Day! Here are a few Earth Day activities to help you go paperless and help teach your Kindergarten kiddos about taking care of and loving our earth. Get those botanists working on planting and recycling with this great Earth Day planter. Think of all the points you can hit in this single science lesson. Why not incorporate a lesson on recycling then turn it into a lesson on what plants need to grow? Plant flowers for them to nurture or even seedlings to take it a step further and watch and learn as nature takes hold and the seedlings grow into flowers. And then turn these cute little Earth Day planters into Mother’s Day gifts for your young scientists to share with their Mommies next month! 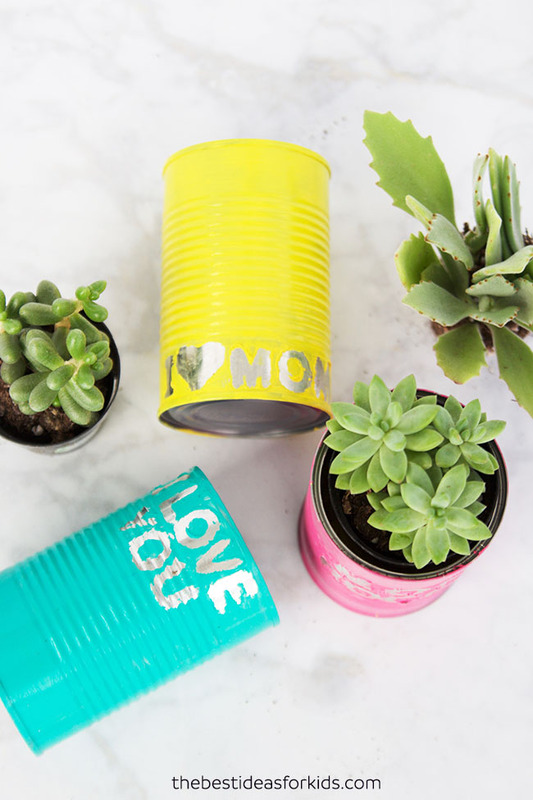 Check out the full details for this recycled tin can planter. I absolutely adore this Sensory Bin that is being used for Earth Day Word Work. Use a little blue and green rice, word clouds, and some magnetic letters and you have a word work center perfect for Earth Day! You can find the full details at Fun A Day for the full details. Check out my post on Earth Day Learning Activities for Preschoolers to see how to use this sensory bin for math too! Let the kids clap the syllables then build syllable towers to match their words. Then they can compare which words have the most verses the fewest syllables! Visit Jackie at A Pocket Full of Preschool to get the full details of her Math and Literacy Earth Day Center for Preschool, Pre-K, and Kindergarten. Take your kids on a trash hunt! 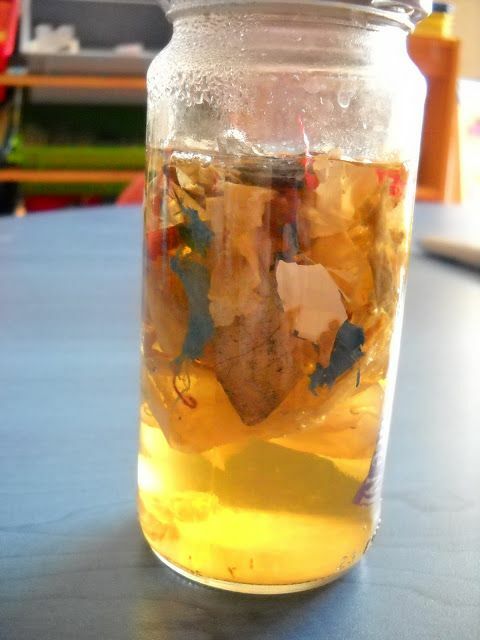 Pick up litter that is laying around your school and add it to a jar full of water. As you are adding the trash to the jar, be sure to have your kiddos make their predictions as to what will happen to the water. Let the kiddos be amazed over the next few days to see what happens! 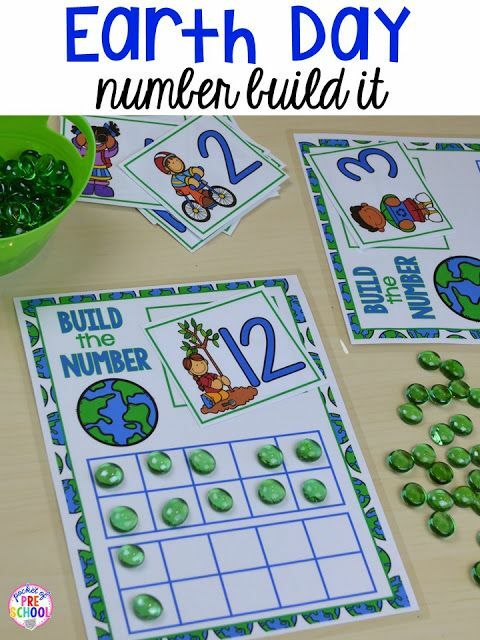 Let your kiddos work on numbers with this Earth Day themed math center. You can find it at A Pocket full of Preschool in her Earth Day Math and Literacy Center for Preschool, Pre-K, and Kindergarten packet. We all know the importance of reading to our kiddos, so don’t forget to include lots and lots of books on the topic to help teach respect for the earth and good habits for caring for our planet. Check out my list of Earth Day books in my 10 Best Books for Earth Day post. Take a peek at my post on Earth Day Learning Activates for Preschool for more ideas. What a wonderful group of activities! I’m sharing with preschool teachers at school and my wife the parent educator! Well Done! Thank you! I’m so glad you found some Earth Day fun to share with others. These are great! I love the planter and the trash idea. So many great ideas and activities for Earth Day. Such an important subject for our younger generation.